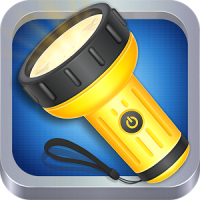 The flashlight, a simple and practical tool, is the latest application developed by Cheetah Mobile that can improve your Android life. Completely free, this ultra-bright flashlight opens instantly and includes a compass, SOS flashing light and color illumination for your convenience. + Lightweight: Uses less than 1 MB of RAM!